Keeping your home in good shape, not only allows you and your family to live in comfort, but it also keeps the value of your home high. 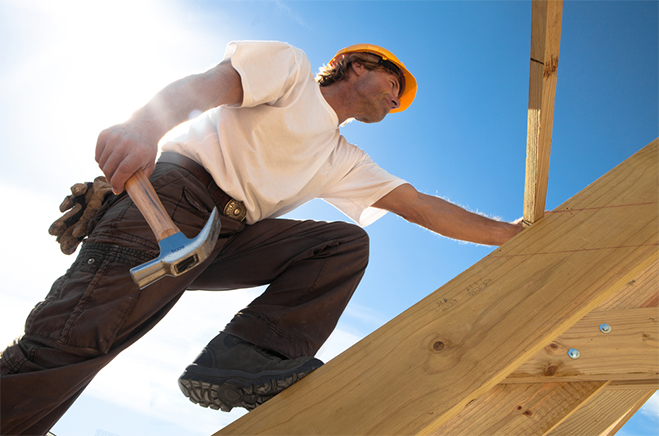 One vital part of your home’s structure is the roof. No matter how good a shape the rest of your home is in, if you have a damaged roof, then leaks, caused by the weather elements, will cause no end of damage to your home. So it is vital for you to keep your roof maintained and in good shape.In reality, the majority of home owners wait until there is a problem before calling out a roofer. But it is wise to call out your local licensed roofing contractor once a year, just to do a visual inspection of your roof, so they can determine if any minor (or major) repairs are needed. Replacing a cracked tile early in the process, could prevent major repairs later on, once rain has forced its way through the cracks and into your home. We have been taking care of residential homes in New Braunfels and the surrounding area for many years, and we would be more than happy to help you take care of your roof. We are very thorough, and you can rely on us for an honest assessment of the state of your roof. We can take care of any style or kind of roof. It doesn’t matter whether it is a flat or pitched roof. Or, if you have tiles or shingles – we can take care of it!We only make use of the best roofing products, manufactured by the premium brand names in the business, so the quality of the build or repair will be second to none. We provide free in-house quotes. Every job is completed with care by expert and knowledgeable roofing professionals. Our company offers cost effective rates, outstanding service, and special guarantees. We place our client first and are always here when you need us. No task is too big or too small for us. Simply contact us today at (210) 219-6906 and let us discuss with you any roofing problems you may have.